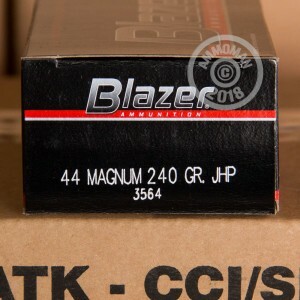 These 44 Magnum 240 Grain JHP rounds are from Blazer. Dirty Harry put this caliber on the map, and it still remains popular today for its exceptional short range hunting capabilities. 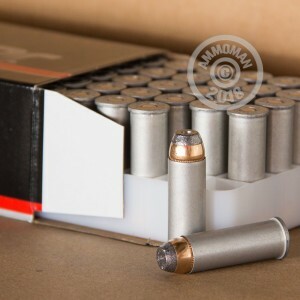 This ammunition features a 240 grain Jacketed Hollow Point bullet that delivers a blow big enough to take down elk-sized game. Blazer manufactures these rounds using an aircraft grade aluminum alloy and non-corrosive, berdan primers. 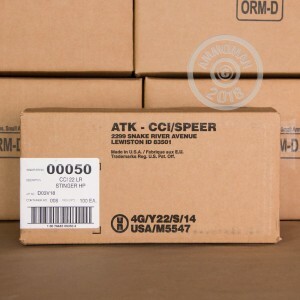 Blazer's ammunition is economical, reliable, and is manufactured in the United States by CCI. The production facility is located in Lewiston, Idaho. Get Free Shipping from AmmoMan on your order over $99 when you purchase this case!